For a short time after traditional braces come off, your teeth are going to be more susceptible to sensitivity and staining. This is because where the brackets were attached to your teeth, there was dental cement. This cement takes a bit of time to come off after your braces are removed. The areas below where the cement was placed need to readjust to being in constant contact with your mouth without the bracket in place. This can take a little bit of adjusting to. If you notice that your teeth are sensitive, know that it should only last a couple of days. If it goes beyond a couple days, see your dentist or call your specialist. They may want to take a peek. However, since it should only last a couple days, just be careful with your diet during that time. Avoid extreme temperatures of food and drink so that your teeth aren't in any pain. Also, avoid anything that you know is going to likely stain your teeth. This should involve curries, mustard, coffee, and beets. Each of these foods can stain your teeth very quickly, but during this transition time, it can happen faster than usual. It is a lot of fun to go in and get your braces off. You spent a lot of time getting your teeth to look just right. Take the time to enjoy the after effects without the pain or problems that can come from getting the brackets removed. Be careful with your teeth for the first few days, and after that, you should be good to go about your life as usual. Except, now, you can show off that hard-earned, gorgeously straight, beautiful smile. 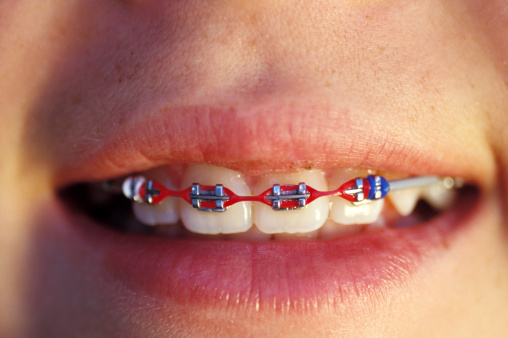 Please contact our office if you have any questions about your braces coming off.